Is the Sony Xperia X a dual SIM version of the Sony Xperia Z? Back in October, there were a number of wild rumors flying around related to Sony. 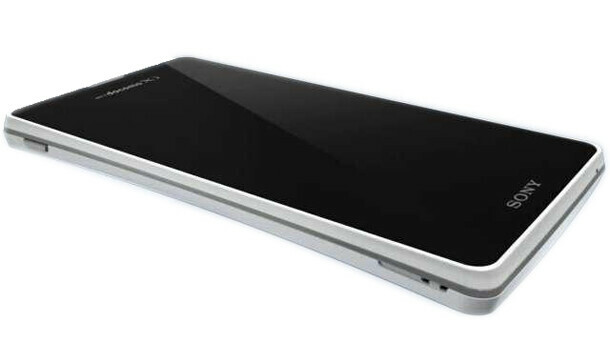 One was about a 6 inch handset called the Sony Yuga that was supposed to launch with Android 4.1 aboard. Another device, called the Sony Odin, was expected to be equipped with the now common high-end specs of a 5 inch screen, 1080 x 1920 resolution, and a 441ppi pixel density. But as it turned out, much of that earlier speculation was wrong. As we told you on Saturday, it now looks like the Sony Yuga will be launched on January 15th as the Sony Xperia Z with a 5 inch display (no more 6 inches), 1080p resolution and 441ppi pixel density. So if the Yuga is the Xperia Z with a 5 inch display, what happened to the Sony Odin? As it turns out, that model is now the Sony Xperia X and while it has the same specs as the Sony Xperia Z, it does offer dual SIM card capabilities. Other differences between the two include the dimensions of the phone. The Sony Xperia X is thicker and heavier than the Xperia Z. The back of the Sony Xperia X is textured similar to the Sony Xperia E dual SIM model and a small cover on the back of the handset will allow you to hot swap both the microSD card and the SIM cards. Instead of being on the top of the device, the front-facing camera will be at the bottom right of the phone. A prototype of the Sony Xperia X is said to be the source of this information. Still, all of this is conjecture until we hear the word from Sony, which could be as soon as CES 2013, which starts January 8th in Las Vegas. And while we are looking forward to seeing a 6 inch Android phone getting introduced at the show, it won't be a Sony model. Instead, it should be the Huawei Ascend Mate with its 6.1 inch display that will become official at CES. the bottom part???!!! will this android enable rotating 180 degrees without root??? yo alan, that is a wrong picture of Xperia Z (Yuga). The picture you posted is Xperia GX (Japan version). Which is already out in japan. and its not a picture of a TX, cause it has the NTT DOCO. logo at the top, yet they both share the same design. This is the worst piece of journalism in the world. If Android Authority (or lack of authority) and iPhoneArena read XperiaBlog properly, they'd know the only thing mentioned about the 'dual' aspect was that it had a textured back like the Xperia E dual. This makes me cringe. Furthermore, at least you realise Yuga is not 6", which is what we have known the whole time, but you people keep misunderstanding - there's a 6"+ phablet...And we all knew Yuga and Odin were like the TX and T...(virtually identical). Just terrible. EDIT: If you use google translate with the original source, it says dual Sim, however, this is Google translate, and Xperiablog is known to handle chinese/vietnamese sites well. I am curious why dual SIM phones haven't caught on (or, just aren't sold) in the U.S. - they would seem to be the perfect solution to marginal coverage for one carrier with good coverage for another carrier in the same location. Or, business and personal accounts. Is it because carrier subsidized phones being main business model in US? Could be. Although there is some market for phones without a contract. Other than the original Nextel phones, I haven't seen a dual SIM-capable phone sold in the U.S. For that matter, I doubt one could purchase a dual-SIM phone internationally and use it in the U.S. (incompatible frequencies and FCC certification problems). Only one question whats the point with DUAL SIM?